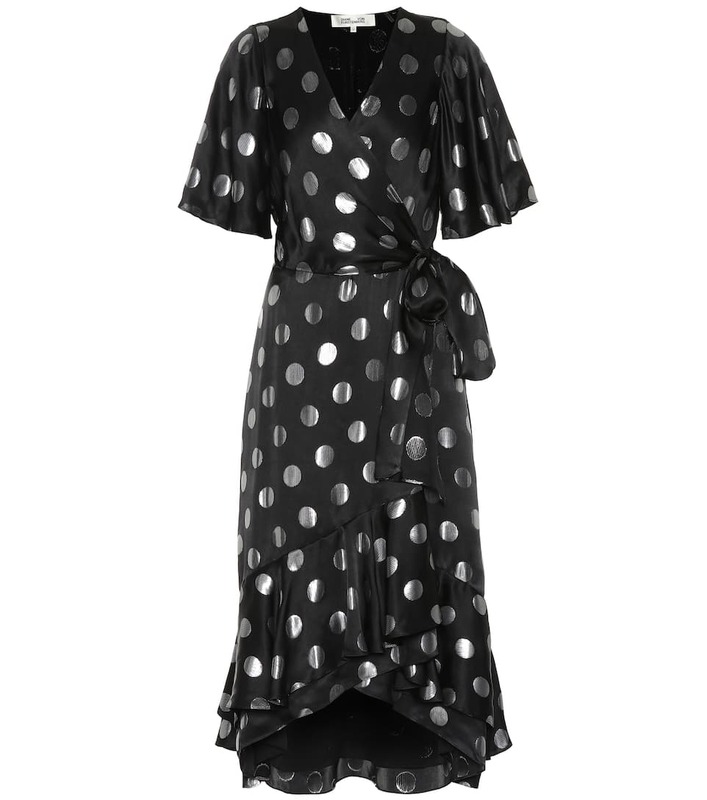 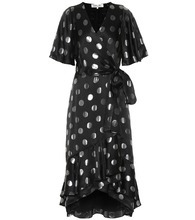 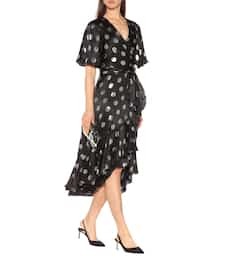 Shimmering spots and an iconic silhouette punctuate Diane von Furstenberg's Sareth dress, which is sure to become your most favored party companion. 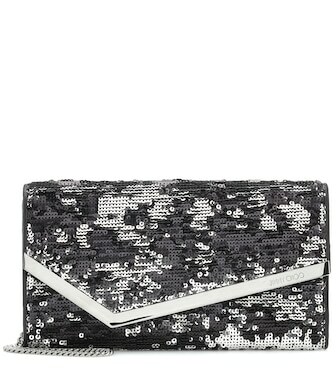 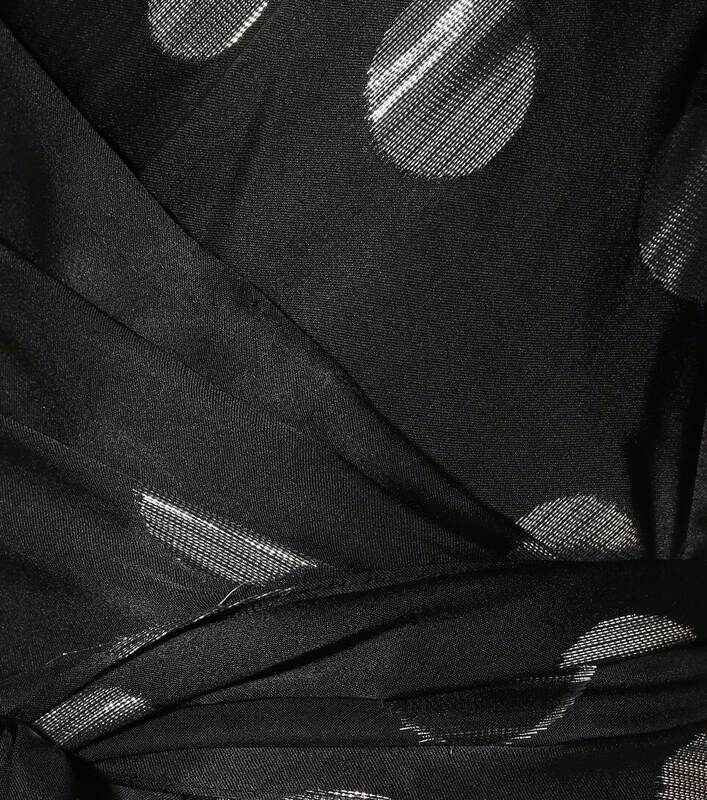 Crafted from black silk with metallic fil coupé, it ties at the waist and falls into a folded and frilled hemline. 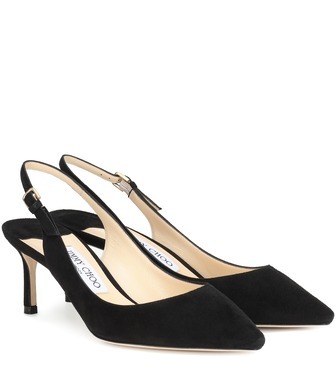 Style with glistening earrings and lustrous sandals to celebrate the holidays in style.